No other patch of south India’s, or even whole of India’s geography has produced the kind of music maestros this region has. A famous art critic from Bombay once remarked that beyond the Vindhyas, the geographic region was incapable of producing any worthy Hindustani musicians. That the soil of the south was too instable to produce any musicians who could value the beauty of holding a single note and enjoy it in entirety. While this might not be entirely true about Carnatic music, the twin cities of Hubli-Dharwad in the northern corner of Karnataka came across like a resounding slap on the face of this ignorant critic. For no other patch of south India’s, or even whole of India’s geography has produced the kind of music maestros this region has. In Pre-independent India, Dharwad was a part of what was called ‘Bombay-Karnataka’. With citizens fluent in the various regional dialects of Kannada and Marathi, the Dharwad region’s cultural life blossomed with some of the finest poets, writers and thinkers of the 20th century. 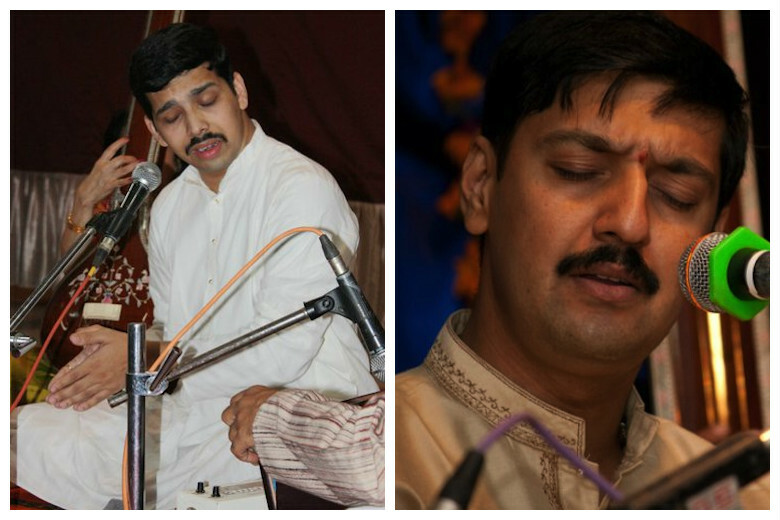 Hindustani classical music is a genre that inspires a possessive devotion among people from the region. In the twin city of Hubli and around that belt, in little hamlets like Kundgol and so forth, Hindustani music blossoms in a proud sense of ownership. While it is difficult to pinpoint the exact dates of when Hindustani music arrived in that region, one can find traces of many visiting Hindustani musicians. The visiting drama companies from Maharashtra often hired famous musicians to render musical interludes between acts in plays. In addition to that, we have good accounts of how the famous Marathi stage female impersonator Bala Gandharva took that whole region by storm with his acting and singing prowess. Bachchasani, a famous courtesan from Lakshmeshwara in Gadag district, who took training in Hindustani classical music, migrated to Dharwad. While we have no other details of her, we have reports from local Kannada and Marathi papers about how she successfully ran an all women’s drama troupe and trained a lot of actors in Hindustani classical music. Later Sadashiva Rao Garud who began the ‘Garud Natak Mandali’ wrote and acted in many dramas that were styled in the way Marathi musicals were. South of Karnataka, the kings of Mysore State were great connoisseurs of classical music. Under the reign on Krishnaraja Wodeyar IV (1884 -1940) a lot of musicians found generous patronage. Ustad Natthan Khan of Agra Gharana, Ustad Abdul Karim Khan of Kairana Gharana , Thumri singer Gauhar Jaan, the famous courtesan of Calcutta and many others were regular visitors, performers and guests of the Mysore State. Some of the greatest Carnatic musicians like Mysore Vasudevacharya, Veene Sheshanna and Bidaram Krishnappa were court musicians of the Mysore royalty. 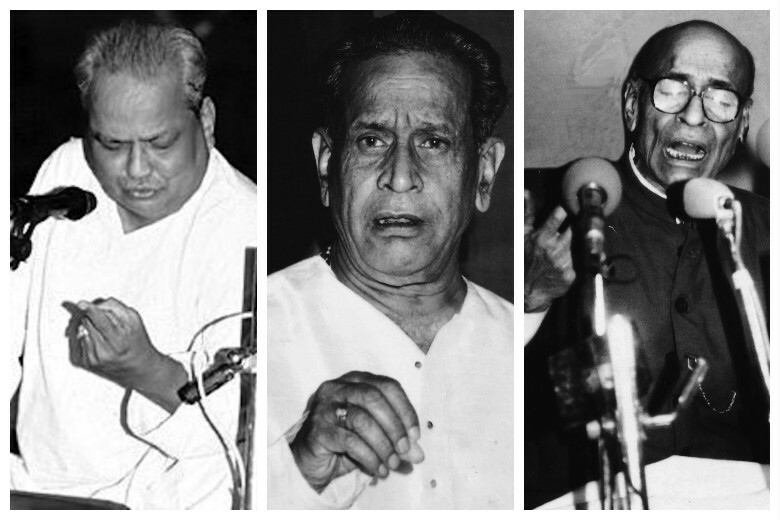 Clockwise from top-left: Pt Kumar Gandharva, Pt Bhimsen Joshi, Pt Mallikarjun Mansur, Pt Basavraj Rajguru, Vidushi Gangubai Hangal. 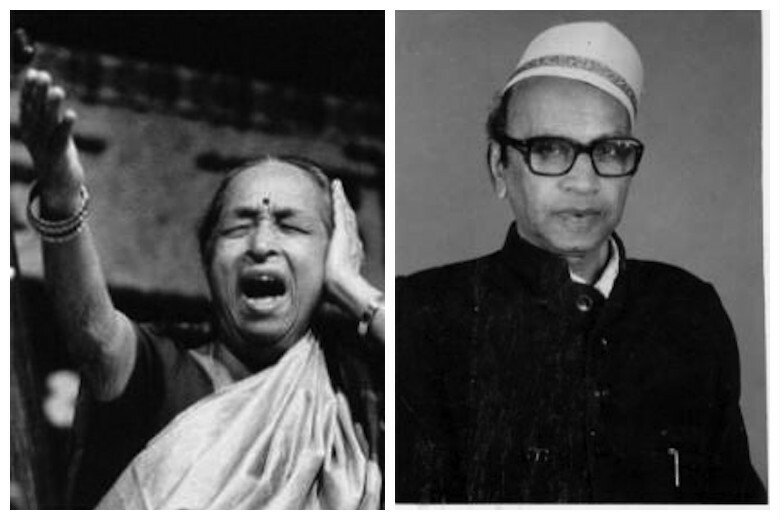 By India’s independence some of the best Hindustani vocalists emerged from the Hubli-Dharwad region. The first name that comes to one’s mind is Pandit Kumar Gandharva (1924 – 1992). Born as into a Lingayat family in Sulebhavi near Belagaum, he was named Shivaputra Siddharamayya Komkalimath. After his initial years in Karnataka, he was sent to train in music under B R Deodhar. He eventually migrated and settled in Dewas in Madhya Pradesh because of his constant ill health. A name that stands tall is that of Pandit Bhimsen Joshi (1922 – 2011). Born to a Madhwa Brahmin family of scholars in Gadag, Bhimsen took his training under the great Pt Rambhau Kundgolkar, popular as ‘Sawai Gandharva’. His journey to find his Guru has been a subject of a historic documentary directed by Gulzar. It continues to set a benchmark of ‘Guru-Bhakthi’. Bhimsen’s became the ambassador of the Kairana Gharana and his style of singing set high standards of that school, albeit unconsciously. Though he settled in Pune for the rest of his life, it was not uncommon to hear Bhimsen speak fluent Kannada or sing the songs of the Dasa Sampradaya in his concerts. He was honoured with India’s highest civilian honour, the Bharat Ratna Award for his contribution to Hindustani music. Two other contemporaries of that era were Pandit Mallikarjun Mansur (1911 – 1992) and Pandit Basavaraj Rajguru (1917 -1991). Mansur was born in the village of Mansur. From an early age he took active part in Kannada drama. All theatre practitioners of that era required training in singing. He trained in music under Neelakantbuwa in the Gwalior Gharana style and later from Ustad Manji Khan of the Jaipur-Atrauli Gharana. A devout Lingayat in his lifestyle, he chose to live close to the Murugah Math all his life. He was born and died in Dharwad. Rajguru also hailed from the Lingayat community. After having trained in Carnatic music at a very young age, he was an active part of the local Kannada theatre troupes. His training from Panchakshari Gawai and later Sawai Gandharva, established him as one of the greatest singers from Dharwad region. The one woman whose voice towered in Hindustani vocal music was Gangubai Hangal (1913- 2009). Born in a traditional family of artistes, she began her early training in music from her mother Ambabai. As a teenager she became a ‘Gandabandh’ student of Sawai Gandharva. Her rigorous training as his disciple made her one of the finest female vocalists of the 20th century in Kairana Gharana. She lived in Hubli and led a successful musical life. These great Gurus trained scores of students. Among the next generation of vocalists worth mentioning include Sangameshwar Gurav and Gururao Deshpande. In the current generation of Hindustani musicians, those who have become international names are Venkatesh Kumar, Vinayak Torvi, Somnath Mardur, Prameshwar Hegde, Nagraj Rao Havaldar and Jayateerth Mevundi. Venkatesh Kumar, a product of the Veereshwara Punyashrama in Gadag run by Pt Puttaraja Gawai , is probably the finest of the Kairana Gharana vocalists we have today. Somnath Mardur and Parameshwar Hegde were students of Rajguru. 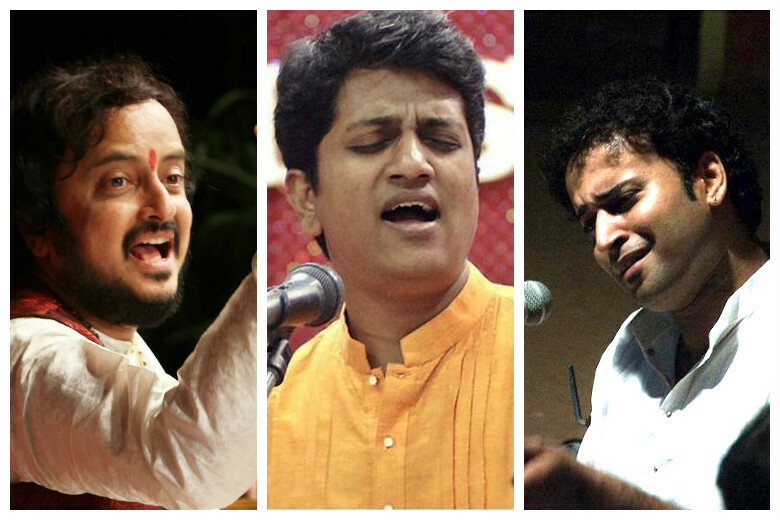 Vinayak Torvi has been a student of Gururao Deshpande and Bhimsen Joshi. Some more women musicians have taken to an active teaching life. Among the most promising youngsters in Hindustani vocal music, a big batch of them, hail from or have connection to Karnataka. Noteworthy names include Kaivalya Kumar Gurav, Bhuvanesh Komkali, Kumar Mardur, Koushik Aithal, Dhananjay Hegde and Dattatreya Velankar. Each of them has excelled in their music, some better than their predecessors and Gurus. They keep the musical flag of Hindustani music from south India, flying high. 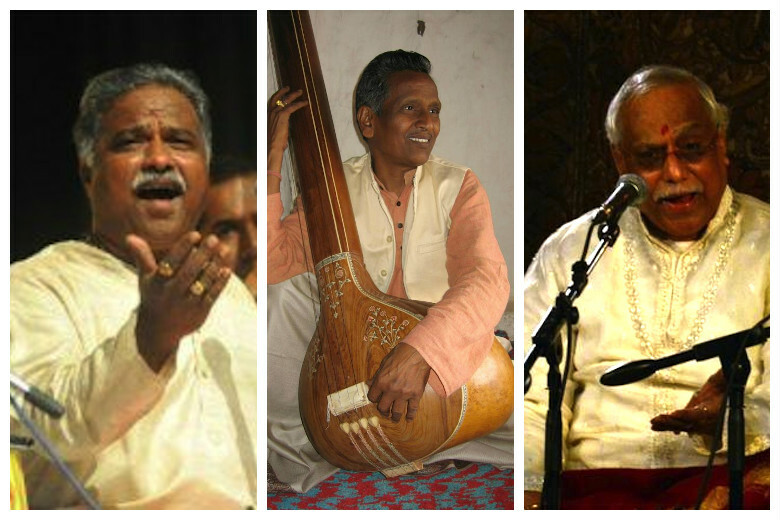 Several Gharanas of Hindustani music thrive in Karnataka, like Agra, Jaipur, Gwalior and Kairana. Going by the sheer number of brilliant musicians, particularly vocalists that have emerged from one geographical area one can successfully say that a ‘Dharwad Gharana’ of music is flourishing, more than most other traditional Gharanas. The Hindustani instrumental music and musicians from Karnataka deserve a different article altogether. Let us not confuse that set with this. 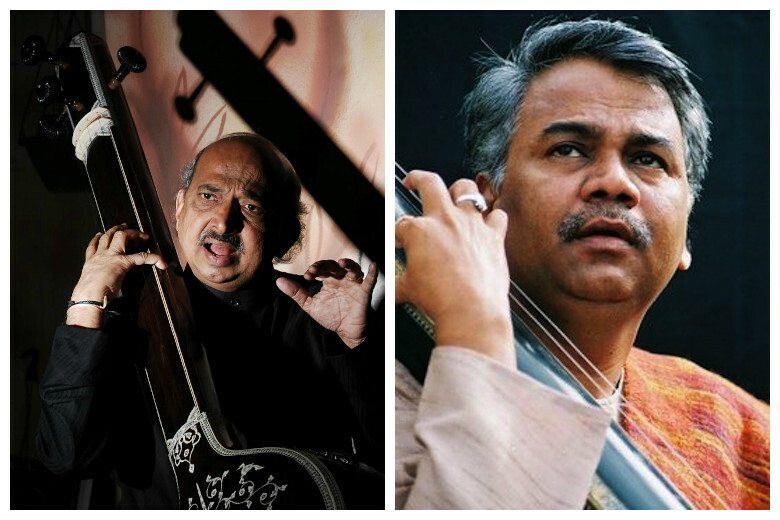 What is it about the soil Hubli-Dharwad and its surroundings that bring out so many musicians? If one were to look at the history of music from a geographic point of study in South India, after the Thanjavur region in Tamil Nadu, the Hubli-Dharwad zone in Karnataka stands out as a shining gem. Karnataka is probably the only state in India that has successfully been a home to both Hindustani and Carnatic genres of music.